According to the Centers for Disease Control and Prevention, 18 million courses of antibiotics are prescribed by Doctors for the common cold in the United States per year despite the almost universal belief in medical circles that colds are caused by viruses, which antibiotics have no effect against. It is also important to consider the negative effects of excessive antibiotic use, which is clearly an issue. Early use of antibiotics in life is strongly linked to immune issues later in life as well as obesity and growth. Alternatives are needed and with no new class of antibiotics having been developed since 2003, this need is growing. Natural products like royal jelly may be an important tool for the treatment of infections, mainly because they are inexpensive, effective and very safe. As I've reported many times, Royal jelly possesses a large number of bioactive substances, including antimicrobial compounds. In a recent study, doctors investigated the antibacterial effects of both freeze dried royal jelly and fresh royal jelly with the purpose of evaluating if the freeze drying process (called lyophilization) maintains the chemical and antibacterial properties of royal jelly. They also evaluated the antibacterial efficacy of the main fatty acid found in royal jelly, 10-hydroxy-2-decenoic acid (10H2DA). 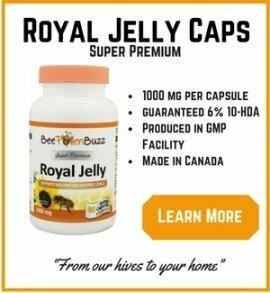 Note: it is very important that any royal jelly supplement you use be standardized to guarantee that it contains minimum levels of this compound. Pneumonia is the leading infectious cause of death in children worldwide, accounting for 15% of all deaths of children under 5 years old. Pneumonia killed an estimated 935 000 children under the age of five in 2013. The fact that royal jelly has strong activity against a disease such as pneumonia is indicative of its immune boosting properties and suggests that it should be considered as a natural alternative to antibiotics. Not only does royal jelly fail to cause antibiotic resistance, but it does not cause obesity or other immune related issues either. Royal jelly has a long history of safety and use around the world contrary to antibiotics such as penicillin, which have high rates of allergic reaction. Approximately 1 in 5000 exposures to a parenteral dose of penicillin or cephalosporin antibiotic causes anaphylactic shock. 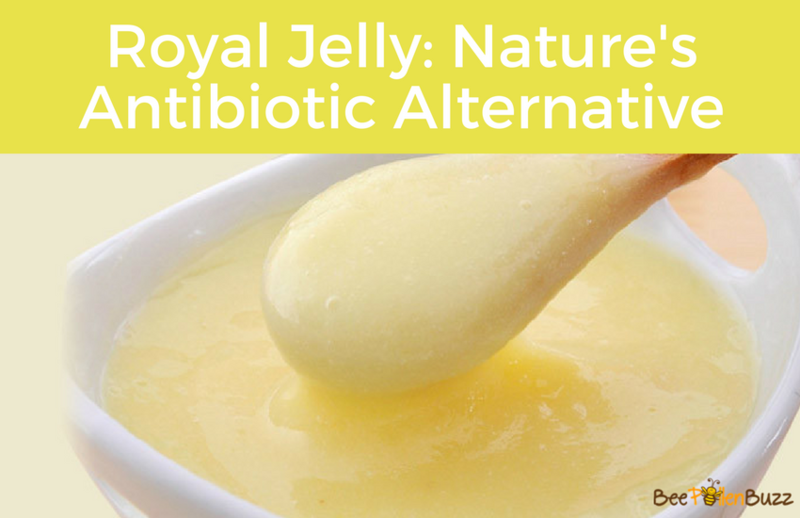 Does this research suggest that the next time you develop a bacterial infection you should reach for a bottle of royal jelly instead of heading to your Doctor for a prescription? There are many factors to consider but you should consider it, especially if you have already used antibiotics several times. By using antibiotics several times already in the course of your life, you will have done extensive harm to your gut micro-flora and you're more likely to be resistant to antibiotics at this point, making the consumption of more antibiotics pointless. So how much should you take if you do decide to use royal jelly as an antibiotic? This is where things get tricky. The study didn't reveal how much royal jelly was used so we have to make an educated guess. Studies on royal jelly have shown strong therapeutic effects in humans in doses as low as 1000 mgs per day all the way up to 20 000 mgs per day. So there is a very wide range to consider. My opinion is that a strong antibacterial effect can likely be attained in the 2000 - 5000 mg per day. 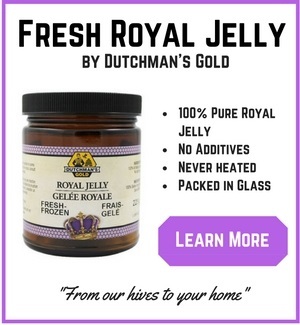 It is also important to note that testing in this study revealed that both fresh and freeze dried royal jelly showed similar fingerprints and the presence of 10H2DA in both samples. That is, the freeze drying process maintains the antibacterial activity of royal jelly and the chemical field of 10H2DA. 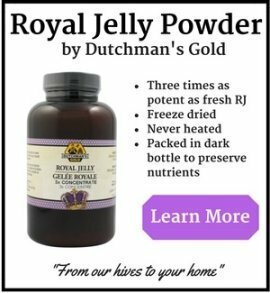 It has long been thought that fresh royal jelly is more effective than freeze dried due to the drying process but this is not the case.